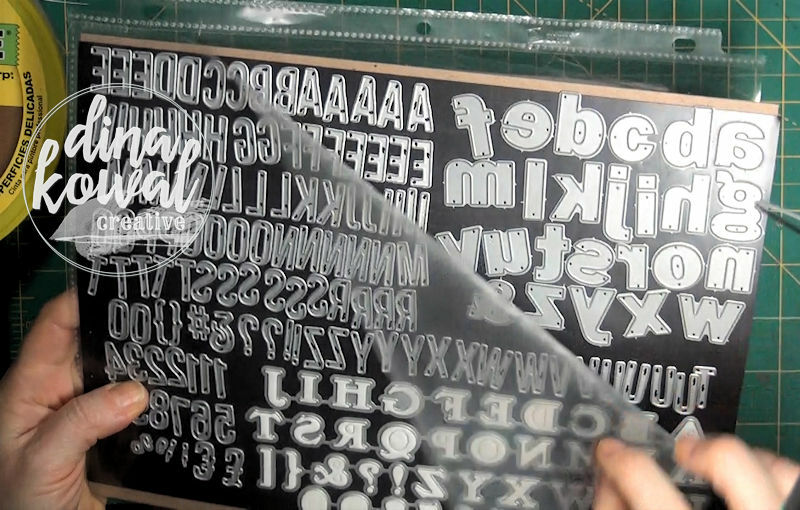 Normally I use FrogTape for masking with die cuts, because it's great for delicate surfaces. It's not very wide though, and it's a little tricky to work with, especially with detailed or larger dies. Mid video, I remembered a roll of shelf liner paper someone had given me, and I gave that a try. Turns out it worked perfectly! The card above was done using a mask cut from the shelf liner - it cut really well, kept out the watercolor paint, and turned out to be reusable! It's very inexpensive too, compared to other masking films and papers. This would work with mists as well as paints, powders, etc. I just brushed some watercolor paint around the edge, and let it dry completely. Boom! I love that I can frame an image this way without adding a layer to my card. I wanted to share a little about my die storage too - I keep my dies on magnetic vent covers mounted on chipboard - those are stored in Avery Quick-Load Sheet Protectors. They open on 2 sides, and it's so easy to get things in and out. Here's a closer look at the card - the image is colored with Copics on a white Inchie Arts Swatch cut down to the size of the frame opening. What a pretty background made with your mask. And the stamp is just gorgeous! I learn a lot of great techniques hopping. Thank you! Interesting about the shelf liner paper. Will check out scs. I love all the techniques. Beautiful card !!! What a beautiful card! I love your coloring and the ornate frame to it. You do such lovely work, Dinah. Thank you so showing the masking technique with watercolors.....that frame die is just beautiful. Gorgeous coloring and layering! Beautiful card! Love the roses in a jar! Great idea for the masking, thanks! Love this card. Thanks so much for the masking tip! Will be looking for some shelf liner paper very soon!! Beautiful card and wonderful new IO stamp!! This is so pretty! Thanks for the tip of shelf liner paper as a mask. This is really beautiful! I love how you did your masking. very nice! Your technique tips are greatly appreciated - thanks. Love the verse too! The card is so elegant. 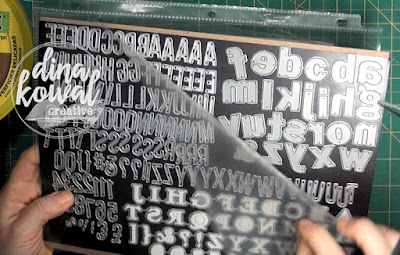 Thanks for the tip on masking with diecuts and showing how you store yours dies. I really like the look of the diecut but not adding an extra layer. Thanks for the tips. The card so pretty. That is an absolutely stunning card, Dini. I love this technique. Thanks for sharing the tutorial so we can all give it a try! TFS! Beautiful card and thanks for sharing how you created it. Beautiful card. As always, your coloring is amazing. Love this stamp set. Your card is awesome. Love how you stenciled and love the jar with flowers too! So cheerful! This is so beautiful! Thank you for sharing what you did here for the frame! Thanks for sharing. Thanks so much for the great tip on shelf liner. I know I have some of that here somewhere. Your card is beautiful! I love the colors & the framed look without additional layers, You've really given me lots of inspiration! Beautiful card. Love the colors. And thanks for the tips on masking. Really helpful! Very cool! I remember you sharing this on SCS in Oct and talking to myself trying to use blue painters tape with an intricate die this past weekend. I will have to find some shelf paper to try! Thanks for sharing! Beautiful card. I love your hint for using shelf lines paper for a mask. Any money saving hint is great. More $$ left to buy other supplies! Gorgeous card, fabulous coloring! Thanks for sharing your discovery about the shelf liner. I've put it on my list to get some and try out this technique. The masking frame is an amazing idea! Love it! And your coloring is amazing!